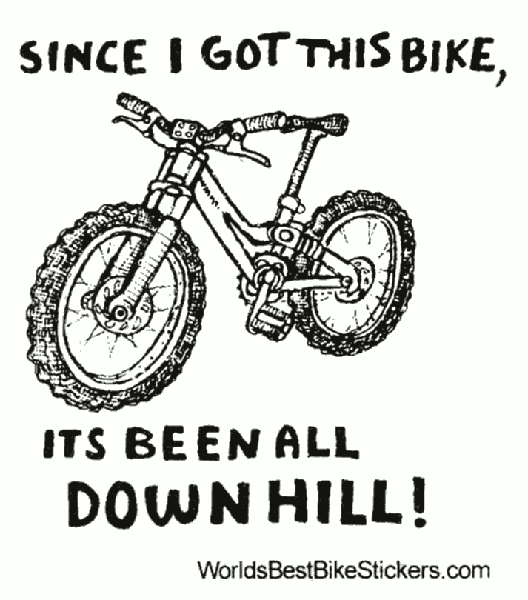 Since I got this bike, its been all downhill! Size is 2.75 inches wide by 3 inches tall. Worlds Best Bike Stickers is a project of The Gloo Factory.